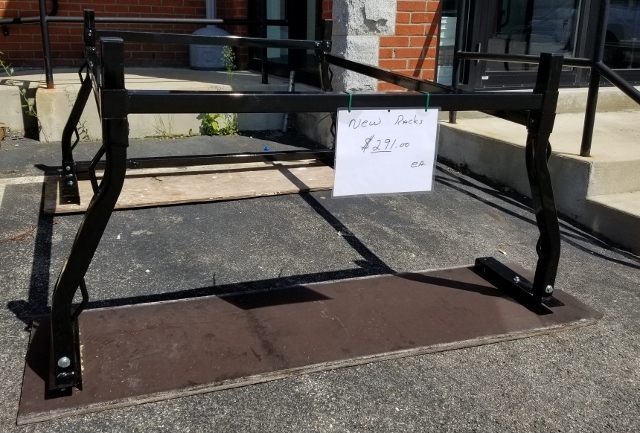 Choose a Size: 3 ft.	4 ft.	5 ft.	6 ft.	8 ft.	10 ft.	12 ft.
Front Rail: 3⁄4" x 33⁄8"
Back Rail: 3⁄4" x 21⁄8"
Front Step: 3⁄4" x 33⁄8"
MES03 3 ft. 171⁄2" 253⁄4" 18 lbs. MES04 4 ft. 183⁄4" 311⁄2" 22 lbs. MES05 5 ft. 193⁄4" 40" 26 lbs. MES06 6 ft. 21" 461⁄2" 31 lbs. MES08 8 ft. 233⁄4" 58" 41 lbs. MES10 10 ft. 261⁄4" 711⁄2" 51 lbs. MES12 12 ft. 281⁄2" 851⁄4" 61 lbs. 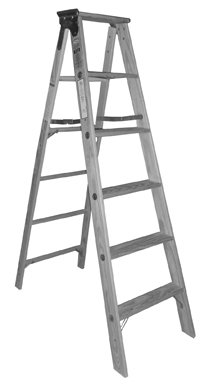 Click the button below to add the MECHANIC STEPLADDER to your wish list.